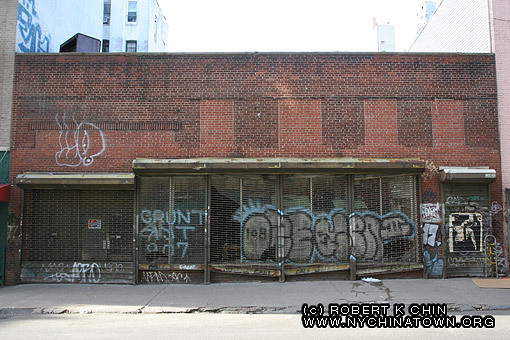 New York City Chinatown > Storefronts > Mott Street > 197 Mott St. New York, NY. © 2007 Robert K. Chin. 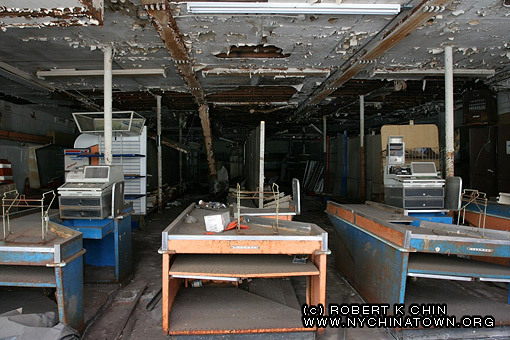 Built in june 1946 as a machine shop, converted into a supermarket in oct 1961 [NYCDOB]. The building has sat vacant for years. building demolished July 2011 with a planned 8-story hotel to replace it.